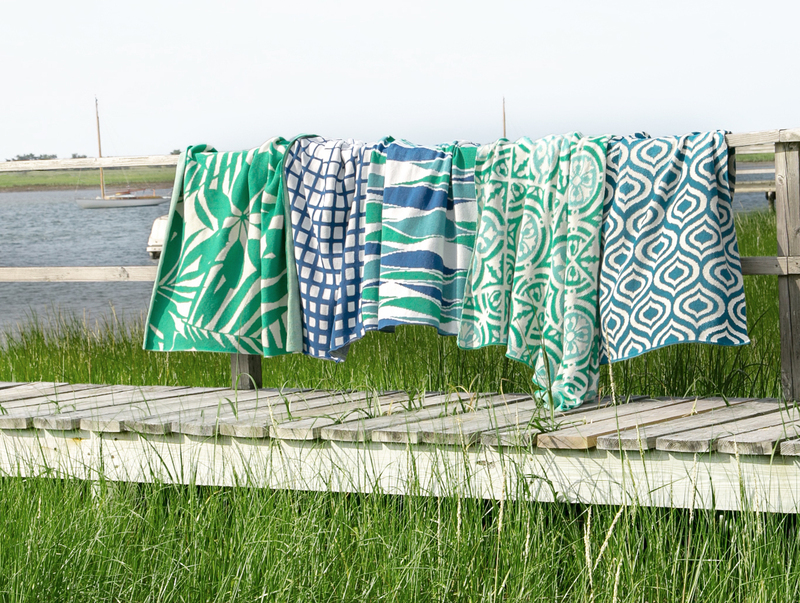 In2green, the sustainable textile brand, was awarded the gift industry's coveted Icon Honor for Product Innovation in recognition of their new recycled polyester fabric developed for their indoor/outdoor line. 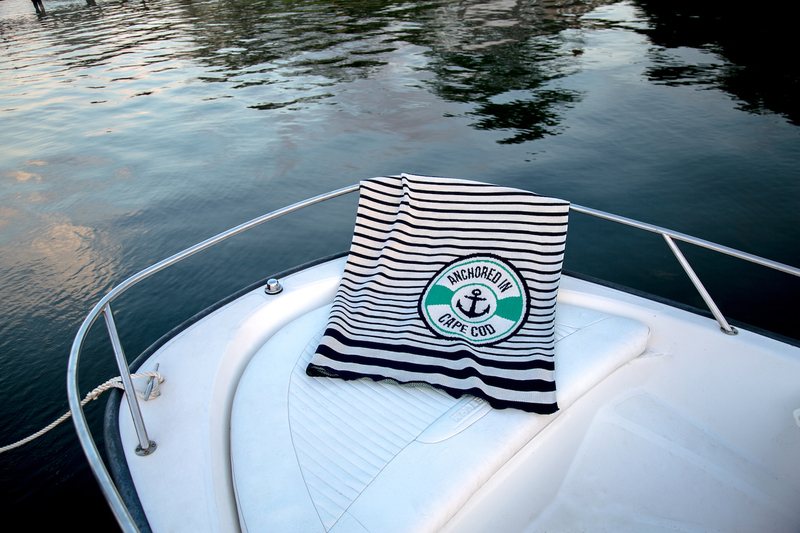 Launched at the end of 2015 and made in the USA, the unique polyester fabric is manufactured with recycled yarn made exclusively from post-consumer plastic bottles; recycling 78 plastic water bottles for every throw produced. “We have a passion for design and a steadfast commitment to creating luxury, sustainable products made in the U.S.A.,” - Stefanie Zeldin, co-founder, In2green. 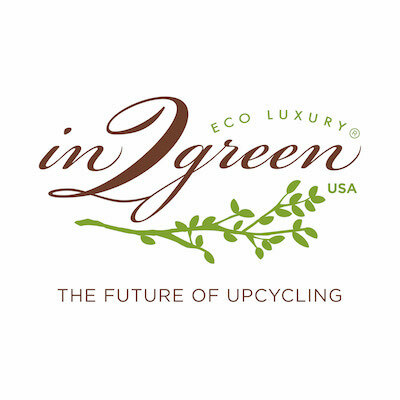 In2green, a leader in luxury sustainable home goods and accessories, received top recognition in the home and gift industry winning the coveted Icon Honor for Innovation. Hailed as the most anticipated and important night in the home and gift industry, Icon Honors took place Thursday, July 14 and was produced by AmericasMart Atlanta, in exclusive partnership with the Gift & Home Trade Association (GHTA) and Progressive Business Media and in affiliation with Gift For Life. In2green was recognized for its recycled polyester knit fabric, which is used to create its indoor /outdoor line. 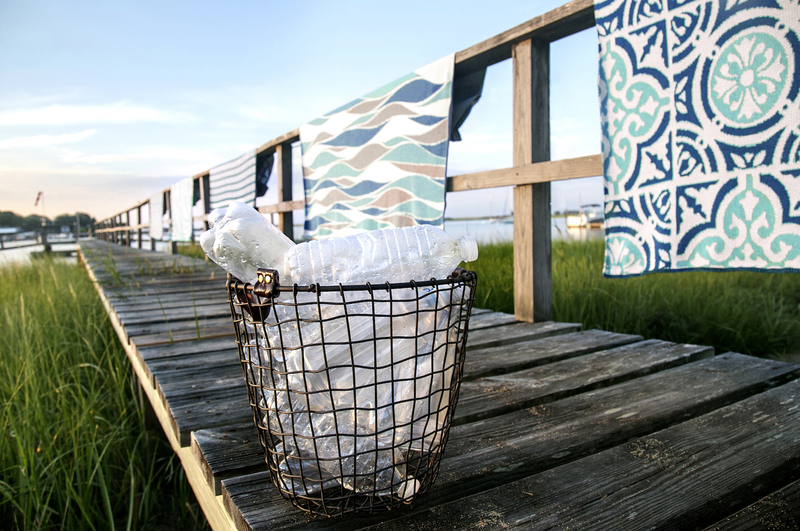 Launched at the end of 2015 and made in America, this unique polyester is manufactured with recycled yarns exclusively made from post-consumer plastic bottles. Approximately 78 plastic bottles are used to create a 48”x60” eco-luxury throw and In2green is on track to recycle more than 100,000 bottles by the end of this year. This conscious manufacturing process offsets the need for crude oil and in turn, conserves precious natural resources and energy. The benefits of In2green’s recycled polyester fabric match its sustainability with fade resistant and quick drying capabilities— perfect for indoor/outdoor living. 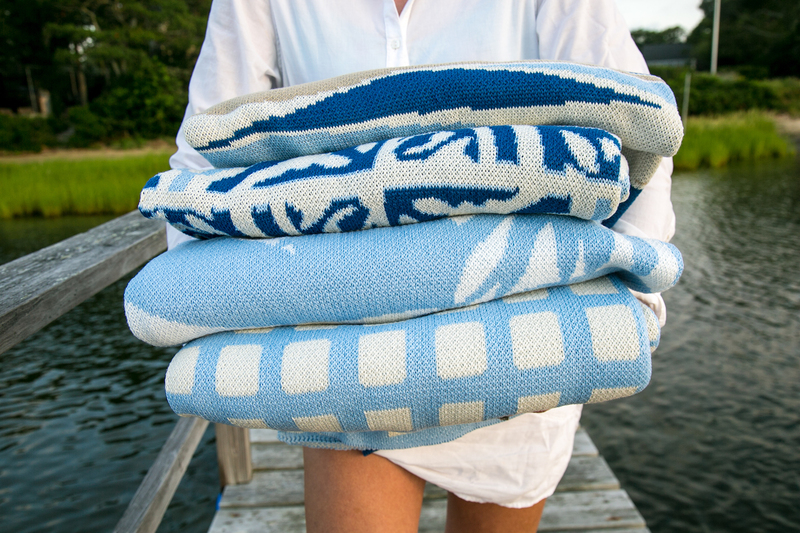 For added innovation, each throw is carefully crafted with a soft eco jacquard knit and color-rich modern graphics, design features new to the market for outdoor accessories. 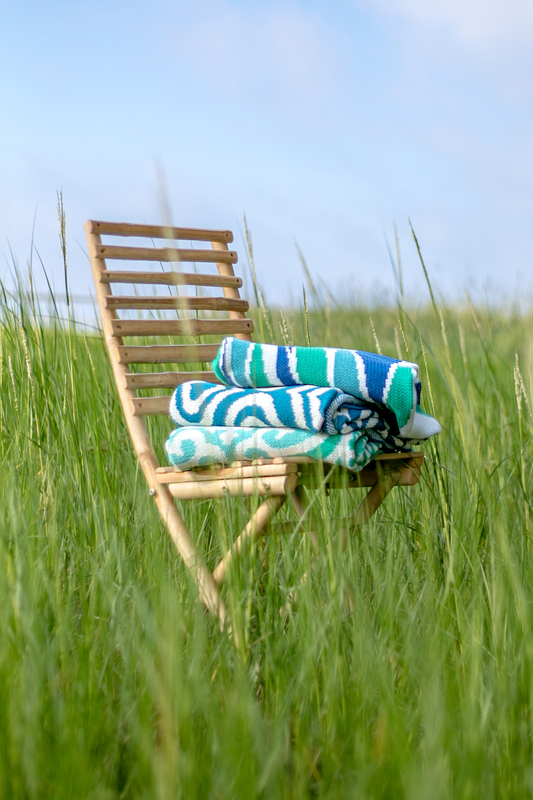 In addition to In2green’s recycled polyester throws, the brand offers an extensive collection of recycled cotton throws and knit accessories. National retailers as well as numerous specialty boutiques across the country carry In2green products. In2green also serves the hospitality and corporate gift markets with its complete collection available for custom orders. 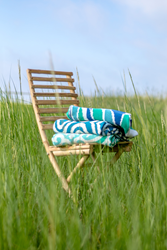 In2green, established in 2006, is a women-owned pioneer in the USA maker movement, specializing in eco products. Co-founders Lori Slater and Stefanie Zeldin have more than 20 years of experience in interior design and eco textile manufacturing. As In2green continues to research and develop product advancements within the eco-luxury market, they also continue to promote green jobs and “American-made" manufacturing opportunities.